Some 13,000 Air Force Materiel Command non-bargaining unit civilian employees will transition to the Acquisition Workforce Personnel Demonstration Project pay system in June 2016, according to AFMC officials. AcqDemo will cover mainly non-bargaining, supervisory and professional series employees. The command will continue to explore expanding it to all AFMC civilians. Under AcqDemo, employees will no longer carry their GS designation and numbered grade. Instead, they will be placed in broadbands, or “pay bands,” comparable to their current grade and salary. Any pay increases or performance awards will be based on each employee’s contribution toward achieving their organization’s mission. The National Defense Authorization Act allowed the Department of Defense to conduct a personnel demonstration project with its civilian acquisition workforce and AcqDemo was implemented in 1999. 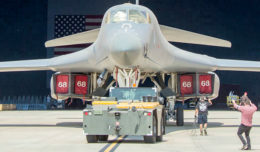 Edwards Air Force Base, Calif., has been a participant since its inception. 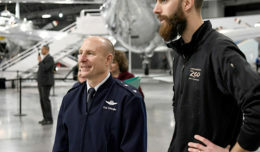 The command will be implementing AcqDemo within the small workforce of both bargaining and non-bargaining employees at Arnold AFB, Tenn., in an effort to demonstrate its effectiveness. Additionally, there will be some bargaining unit employees at several Air Force Installation Contracting Agency locations. To implement, all affected employees and their supervisors will first receive AcqDemo training beginning in January 2016; dates and locations will be announced.